[one_fourth] [/one_fourth] As a mother of three I often reflect on what my aspirations are for my children. I want them to be healthy, enjoy their childhood,be confident and happy, and to get an education, so they can choose to do anything they would like when they are older. I live in London, England. I believe any mother around the world, from the global north (economically developed societies such as the UK and North America) to the global south (underdeveloped countries such as Malawi) probably wants similar things for their children. I’m so lucky – all of my aspirations for my children are within reach. But it’s not so for millions of mothers around the world. Access to clean water and sanitation is now a basic human right. But we all know the stats – 748 million people in the world still don’t have access to clean water (and that number doubles if we talk about numbers without access to acceptable quality of water) and 2.5 billion without adequate sanitation – which in turns contaminates the accessible water. The World Health Organisation (WHO) says for every $1 invested in water and sanitation there is a $4.30 return in the form of reduced healthcare costs for individuals and society. Millions of children can be saved from premature death and illness related to malnutrition and water-borne disease. That would start to help to realise a mum’s dream for her children. If children (and girls in particular) didn’t spend their childhoods walking 2-8 hours every day fetching water, they could be in school. That would also help to realise a mum’s dream for her children. If,when a girl hit puberty, there were facilities for her to be able to cope with menstruation – to have privacy and safety – this would keep her in school even longer. That would help to realise a mum’s dream for her children and now it’s starting to help other mums of boys and girls. And if all children were healthier, felt safe, and were staying in school, wouldn’t that make them more confident and happy? That would help to realise a mum’s dream for her children. Where did it all start? Water. 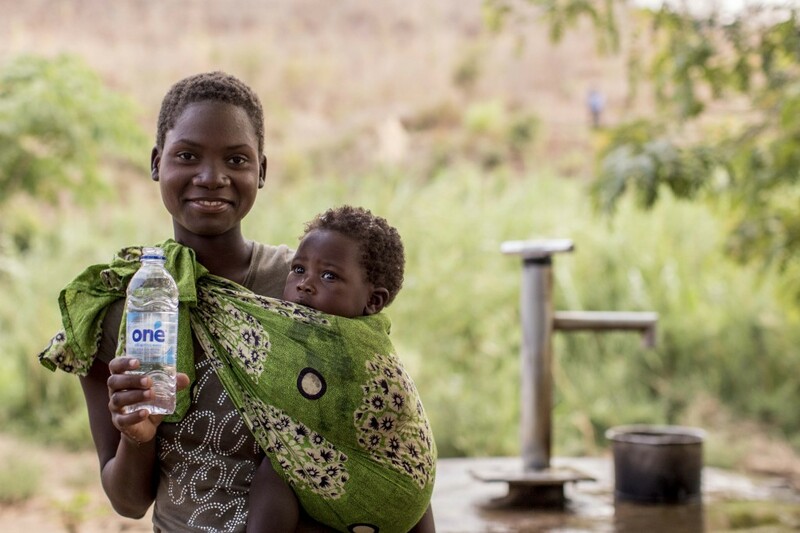 People say water is life, but water is so much more than life… It’s a mum’s dream come true. At The One Foundation we are continually working and learning with many partners to understand the current landscape of the global water sector – how it’s legacy contributes to the state of the sector today, whom the most influential stakeholders are, what innovation is current, how sustainability can be achieved and what we can do to play our part. We don’t expect miracles over night, but we do expect to help millions of mothers realise their dreams.